Over my past 29 years at Moving in the Spirit, I have watched thousands of young people transform before my eyes — students who walked through our doors timid, angry or aloof have emerged as confident, compassionate leaders. 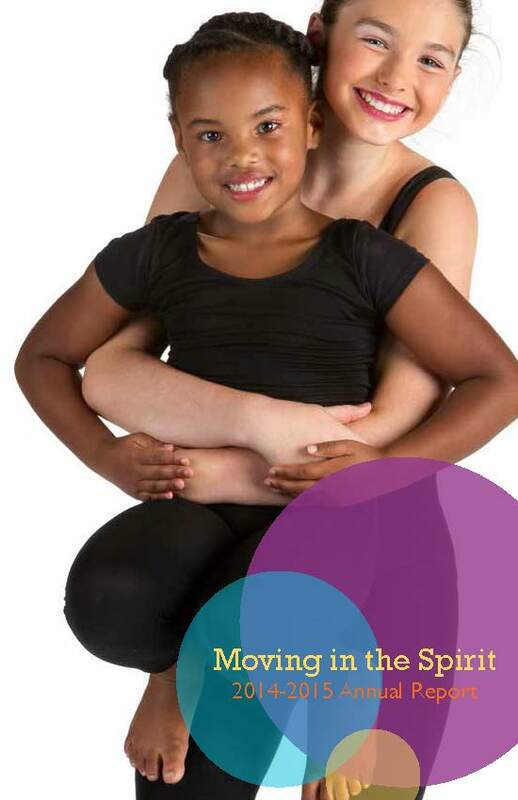 Often I’m asked how Moving in the Spirit accomplishes this powerful and lasting change in our students’ lives. How does a dance program produce successful and courageous young leaders like Tenesia? I met Tenesia when she was 12 years old. Like so many students we serve, she had many wonderful talents but was unable to see the greatness in herself. She was afraid to express her opinion, avoided forming close relationships, and shied away from opportunities that put her in the spotlight. I knew Moving in the Spirit could unlock Tenesia’s power to communicate connect and lead. Through weekly “check-ins” and monthly “family time” sessions, Tenesia found a healthy outlet for coping with stress and a nurturing place to express herself and assert personal agency. Through the rigor of dance she learned self-control and discipline. Through opportunities to collaborate with her peers, she developed close friendships. Moreover, with the encouragement of caring peers and adult role models, she learned to feel more confident, capable and worth. Tenesia came to Moving in the Spirit expecting dance lessons, but what she gained was so much more — critical life skills that would serve her beyond the dance floor. My fondest memory of Tenesia occurred during a rehearsal for Iron-Jawed Angels, a dance about the women’s suffrage movement. I had asked Tenesia to create choreography that would embody the struggles faced by these pioneering women from our history. The next thing I knew, Tenesia was balancing high on her toes, her torso dipped forward, arms clasped behind her knees. The movement was inventive, complex and rich in metaphor. When she taught the choreography to her peers, Tenesia communicated effectively and demonstrated intention. It was a moment of stunning beauty and a huge personal victory. Tenesia graduated this past spring from the University of Georgia and is now a fierce leader and active member of Moving in the Spirit’s alumni committee. She chose a career as a teacher and started her first year teaching 4th grade this fall. Tenesia is devoted to nurturing future generations of young leaders, passing on the values and skills that Moving in the Spirit gave to her when she was a reclusive youngster. Thank you for believing in students like Tenesia and for investing in their lives. With your faithful support, Moving in the Spirit has grow into one of our nation’s leading youth development programs. As we look forward to our third decade of service, Moving in the Spirit is poised to deepen our community impact and expand our reach to serve more young people than ever before. Thank you for taking the leap with us.